Click a film title for details. Films marked with “++” are preceded by short films—information on shorts appears in the details. Check our ticketing page on Eventbrite below for information on tickets to shows at Emerson Paramount Center. Centered around exclusive interview and performance footage of Chavela Vargas shot in 1991 and guided by her unique voice, “Chavela” weaves an arresting portrait of a woman who dared to dress, speak, sing, and dream her unique life into being. *on 9/30, preceded by: Almost Two (Narrative, 5 mins, Emiliano Umpierrez, Uruguay, 2016) Ana, Cecilia and their bunch of friends go out at night. An unexpected person shows up and makes them question their trust to each other. “Havana Skate Days” follows three talented and restless skaters from Havana as they navigate the gradual opening of their country to the US – the birthplace of skate. The warming relationship between the two countries presents new opportunities and reignites the skaters stalled dreams of becoming relevant in the international skate scene. 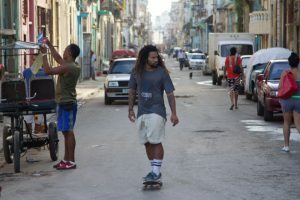 But the frustrations of dealing with an antiquated Cuban bureaucracy and the realities of everyday life in Cuba challenge the skaters’ worldview. In the end, the realities of life in Cuba might stand in the way of what they want most: a simple life and a place to skate. Juan has become the laughingstock of the small fishing village, due to his wife being unfaithful and getting pregnant by another man. He has left fishing and now obsessively cares for an ostentatious mansion of a wealthy family. One day, the young son of the owner shows up at the house, without his father’s permission and loaded with alcohol, with a foreign friend and a village girl they just met. During the course of the weekend, Juan will be forced to make decisions that will affect the rest of his life. Viewer discretion advised; content may not be suitable for children under 17. 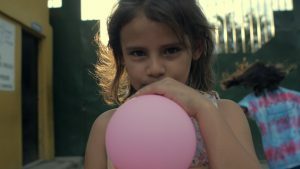 *on 9/28, preceded by: Child for Child (Narrative, 11 mins, Juan Avella, USA/Venezuela, 2016) The life of a Venezuelan kidnapper takes an unexpected turn while on his last job. Andrés Centeno, a young factory worker, spends his nights working long night shifts, leaving him in a continuous state of drowsiness. Andrés has lost his way and forgotten his teenage dreams. Running into a piece of his own life story – stumbling with an encapsulated moment of time filled with illusions – he realizes that although he hasn’t made the right choices, it’s still not too late to make amends, accompanied by a new friendship that will encourage him to move forward. Viewer discretion advised; content may not be suitable for children under 17. 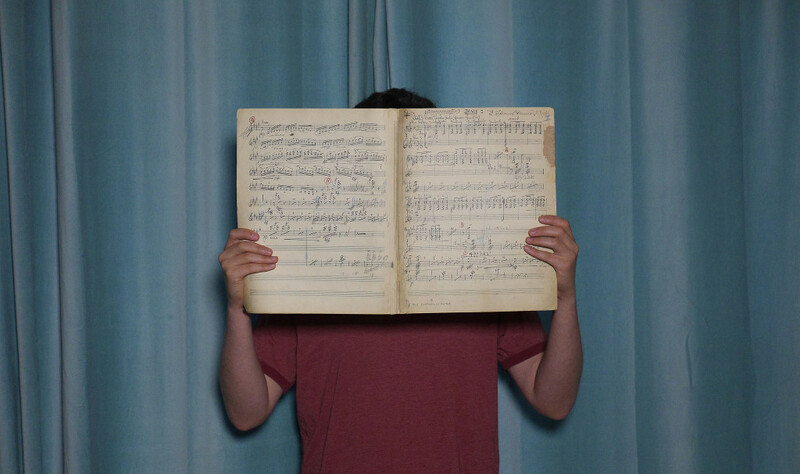 Way to Andina is the 80-year-old opera written by immigrant composer Eustasio Rosales. 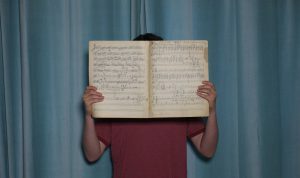 The score was never performed until Arlen Parsa, Rosales’ great-grandson, discovered the work and began researching composer’s story. Now he's determined to fulfill his family legacy and resurrect the opera, decades after it was first written. 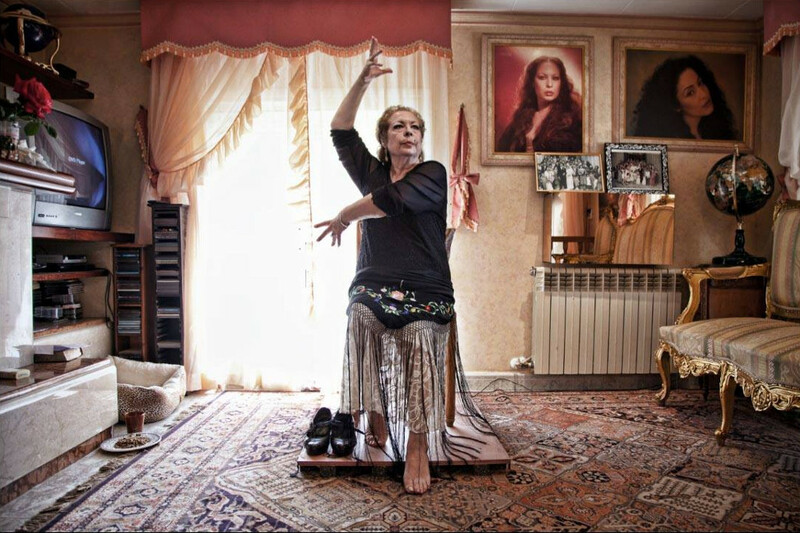 She was one of the greatest stars in the flamenco world, captivating audiences worldwide with her innovative style and breathtaking use of rhythm in the 1960s and 1970s. LA CHANA brings us close to the heart and mind of La Chana, the self-taught Gypsy dancer, Antonia Santiago Amador, as she returns to the stage to give a final seated performance after a break of two decades. Peter Sellers, with whom she features in The Bobo (1967), invited her to Hollywood. Instead, at the peak of her career, she suddenly disappeared from the scene. Along the way, La Chana reveals the secret behind her disappearance: for 18 years she was the victim of domestic abuse at the hands of her first husband. In this dramatic story about the process and power of creativity, about aging, perseverance and re-invention, La Chana crystallizes the inevitable clashes between her life’s extremes and contradictions, between the talented artist on stage and the woman behind the scenes. *on 9/29, preceded by two shorts: The Search (Documentary, 24 mins, Melina Tupa, USA/Argentina, 2016) The film explores Estela de Carlotto’s search for her long-lost grandchild thirty-seven years after her daughter was kidnapped and murdered during the Argentinean “Dirty War.” Wheel of Life (Documentary, 15 mins, Marcia Jarmel & Ken Schneider, USA/Cuba, 2015) Meet El Oso (the Bear), one of the founders of Casino— the dance that launched salsa. 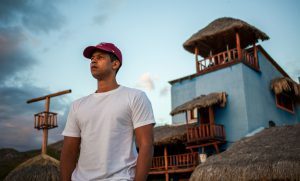 A simple man whose joie de vivre delights, Oso travels through Havana regaling us with tales of his youth, when Havana’s exclusive clubs were white only, forcing him to dance on the streets. **on 10/1, preceded by: Mariachi Madness (Narrative, 11 mins, Nadia Zoe, USA, 2016) A dark, buddy comedy between a father and son. 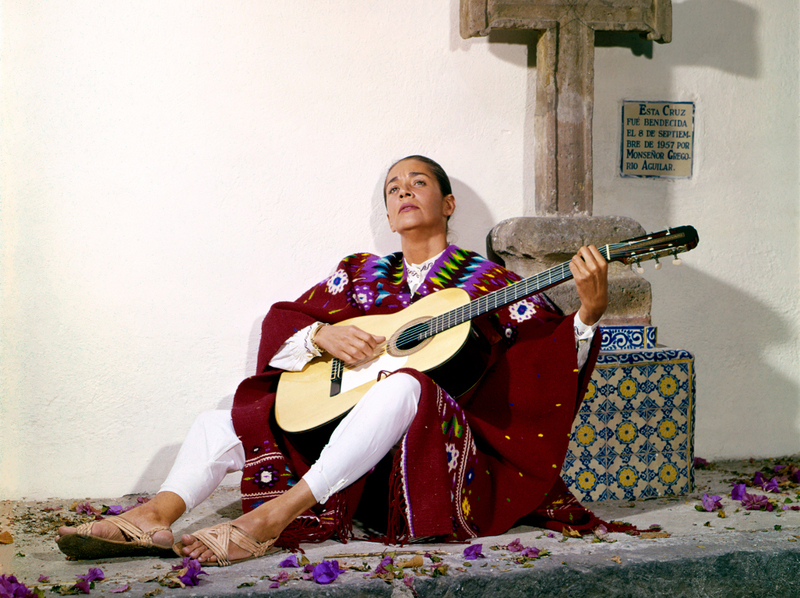 It’s the conflict that arises as a son tries to learn and appropriate his father’s old world style of wooing a woman with the use of a Mariachi band. 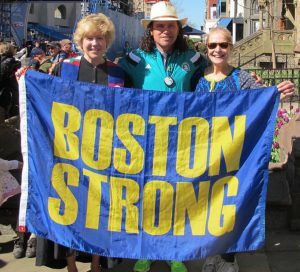 "The Man in the Cowboy Hat" is a feature length documentary about Carlos Arredondo, who gained notoriety for helping to save a life during the Boston Marathon bombing. But the film begins a decade earlier, in 2004, when he learned of the death of his oldest son, Alex, in the war in Iraq. He got inside the Marines’ van with gasoline and a propane torch and the van exploded into flames. 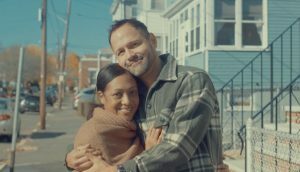 The film follows Carlos for the next ten years as he evolves from a grief stricken father to an influential peace activist to the Boston Marathon bombing hero. His story of public involvement and private struggle raises important questions about the impact of war on families, patriotism and the American Dream. 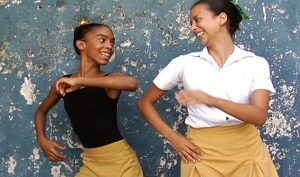 Daniela, Arlette and Alex, age nine, are just beginning their training in Cuba's world famous ballet program. They're young, they're Cuban, they're dancers. But this is where their similarities end. Through cinematic tableaux interwoven with intensely private moments at home and school, “Primaria” traces each child's blossoming life over four years of grueling training until all three emerge as teenagers, poised to confront their futures. Alba is 11 years old. She spends most of her time in silence, and she likes small animals. One afternoon, her mother is hospitalized, and Alba has to move in with her father, Igor, who she hardly knows. Igor’s attempt to become closer to her, her first friendship, her first kiss, her hospital visits to see her mother are all events that pave the way for Alba’s journey towards adolescence and accepting her family. Rescued from the streets of San Pedro Sula, Honduras, murder capital of the world, orphaned girls find their voices in poetry as they heal traumas of their past and prepare to transition into an uncertain future. Executive produced by James Franco. Manuel, a farmer from Olancho, Honduras, seeks fame by making music for the region’s drug cartels. 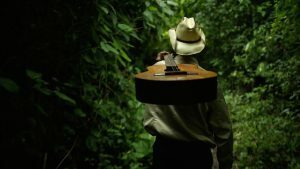 When some of his song lyrics get him in trouble, Manuel must make the most difficult decision of his life: continue the quest for fame, or flee. 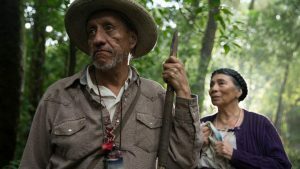 A young linguist travels to the jungle of Mexico to research a language on the verge of disappearing. Once there, he discoverers its last two speakers clashed 50 years ago, and have refused to speak to each other since. Attempting to reunite them, the researcher discovers a secret past—and a forbidden gay love story. Viewer discretion advised; content may not be suitable for children under 17. *on 10/1 preceded by: Swimming in the Desert (Narrative, 15 mins, Alvaro Ron, USA/Spain, 2016) In the drought-stricken town of Agua Dulce, in the California High Desert, a ten-year-old girl challenges her grandfather, a cranky retired firefighter, to follow a crazy plan and bring the water back to the dry river. 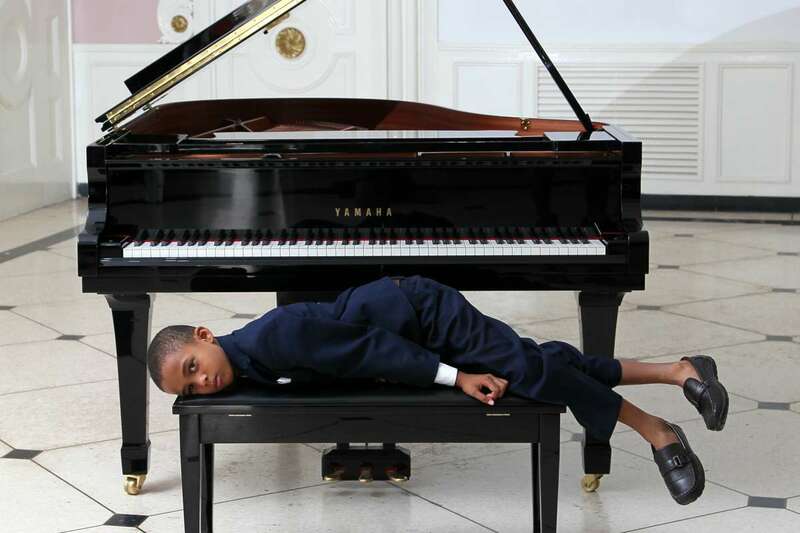 The determination of achieving your dreams, viewed from the universe of a 9-year-old boy, Esteban, who lives alone with his mother and wants to become a pianist, is the thread of this plot, which reflects the harsh side of the current situation in Cuba. 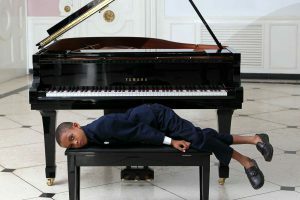 Music composed and interpreted by Chucho Valdés. *on 10/1 preceded by: Great Muy Bien (Documentary, 15 mins, Sheyla Pool, Cuba, 2016) The middle-aged students of a private English school in Havana have very diverse aspirations, but all want to learn English in order to be prepared for a future of normalized relations between Cuba and the United States. Official Selection of 2017 Sundance Film Festival. 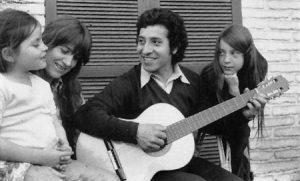 This feature length film explores the legacy and cultural resurgence of South American singer-songwriter and activist Victor Jara, who was brutally killed in 1973 following a military coup in Chile. Weaving interviews and archival materials (some rare), supported by an original sound score and a generous helping of Jara songs, the film reveals why Jara's values and music transcend multiple generations, remaining a powerful cultural symbol in the ongoing global struggle for human rights and social justice. *preceded by: 3000 (Narrative, 23 mins, Skip Font, Puerto Rico, 2016) Short film about Roberto Clemente’s 3000th hit, on the 45th anniversary of this historical occasion. 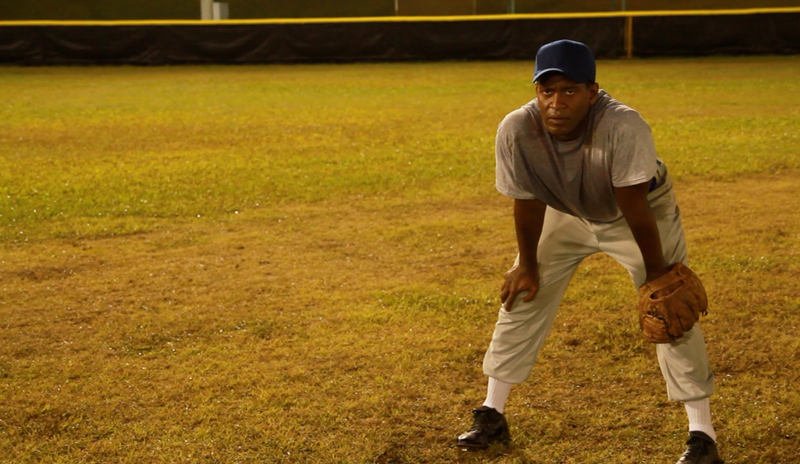 Q&A with actor Modesto Lacen who plays Clemente in the film. Co-presented by Inquilinos Boricuas en Acción. *on 9/30 preceded by: Short (Narrative, 6 mins, Alex Santiago, Puerto Rico, 2017) The paradox of plenty. At a time of great social and political upheaval in Brazil, BRAZIL MY LOVE follows the relationship between Morena Brazil and Osvaldo, who live in the United States, from its inception through its seemingly inevitable break-up. 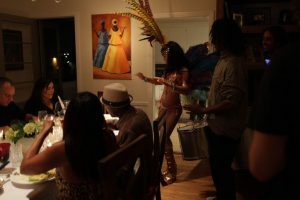 Their failing relationship is held in sharp contrast to a loud, convivial Brazilian dinner, organized by expatriates, to discuss the recent riots in Brazil. “Beyond the Wall” follows five formerly incarcerated men who are attempting to rebuild their lives on the outside with little support from our criminal justice system. Through personal stories of reentry—including relapse, recovery and redemption, “Beyond the Wall” puts a human face on the social, economic and emotional barrier encountered by returning citizens, their families and their communities. 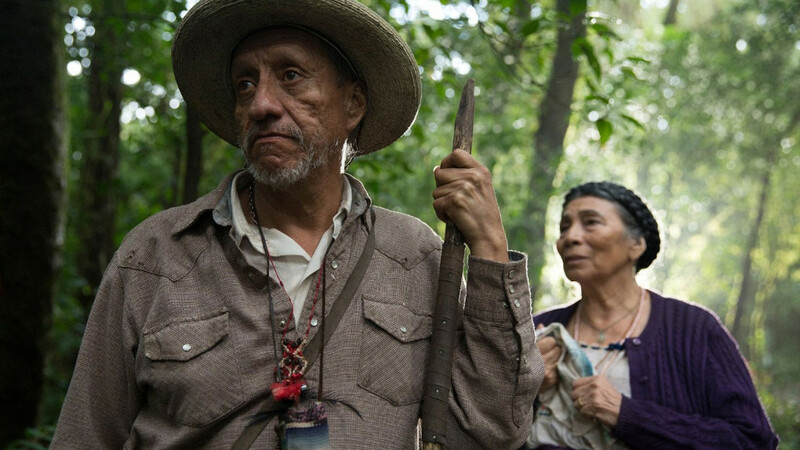 El Hombre Bueno (Narrative, 15 mins, José Luis Solís, Mexico, 2017) The Godson told him as a child that when a good man dies, the sky cries, and it rains. To overcome the drought that was afflicting the town, someone good had to die. Out of Season (Narrative, 23 mins, Sabrina Campos, Argentina, 2016) Vera and Bruno had a love affair in the past, but they never really got closure. They didn’t see each other again, until several summers later, when they randomly meet at a country house in Bella Vista for a weekend away from the city. Teta (Documentary, 25 mins, Alexandra Hidalgo, USA, 2017) In Teta, Alexandra Hidalgo tells the story of her journey nursing her youngest son, Santiago, for twenty-two months. Teta uses Hidalgo’s narration and the footage shot by her husband to portray the ups and downs of nursing a baby as a working mother of two. As the film shows Santiago go from his first nursing session minutes after being born to his last as a walking and talking toddler, Teta illustrates the transcendent emotional bond created by nursing, not only between mother and child but between all members of the family. Si No Te Vas (Student Narrative, 16 mins, Pablo Vaca, USA/Mexico, 2017) Agustina and Poncho have built up a deep love for each other as immigrants in the US. Family obligations pull Agustina back home and force the couple to reflect on the status of their relationship. 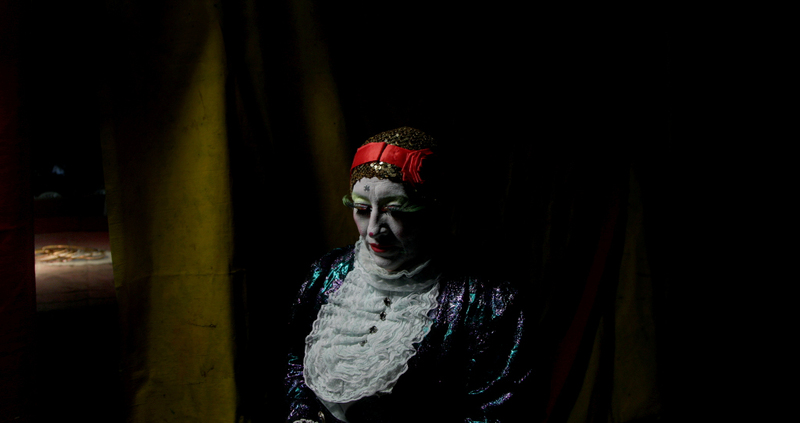 It Comes from the Heavens (Narrative, 19 mins, Oldren Romero, Cuba, 2017) In a place where the eyes of God were the only witnesses, Angel, a ten-year-old boy lives with his pregnant mother, his stepfather and grandfather, alone and surrounded by pigs. Angel's bad behavior at school, her grandfather prostrate in a chair, her husband's strong work and her advanced state of pregnancy make Angel's mother not see what is happening beneath the vault of her sky. Viewer discretion advised; content may not be suitable for children under 17. For You, Alexis (Documentary, 25 mins, Douglas Gordon, USA/Mexico, 2016) For You, Alexis is a love letter from Sulem Urbina to her younger brother, Alexis. Both boxers, the two had a dream of reaching the 2016 Olympics together. 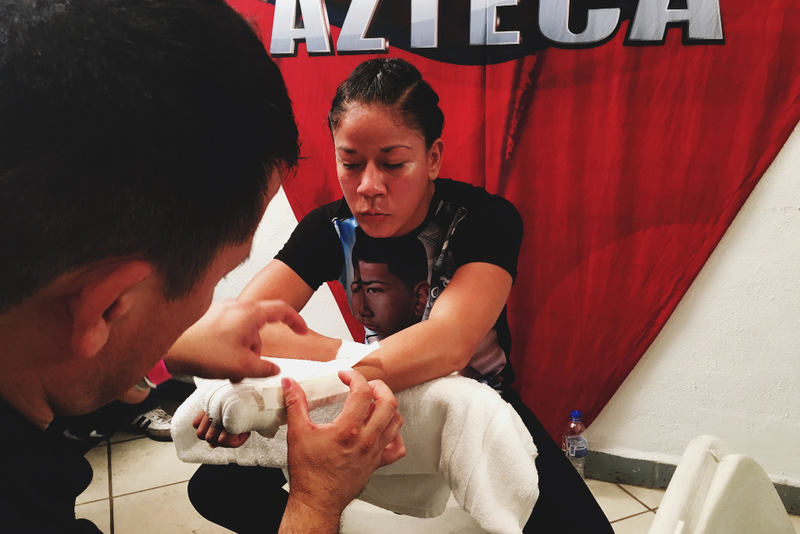 Sulem would represent Mexico and Alexis the United States. On a September day in 2013, the dream was stolen from them and now with the help of her husband and coach, Sulem is left fighting for both of them. 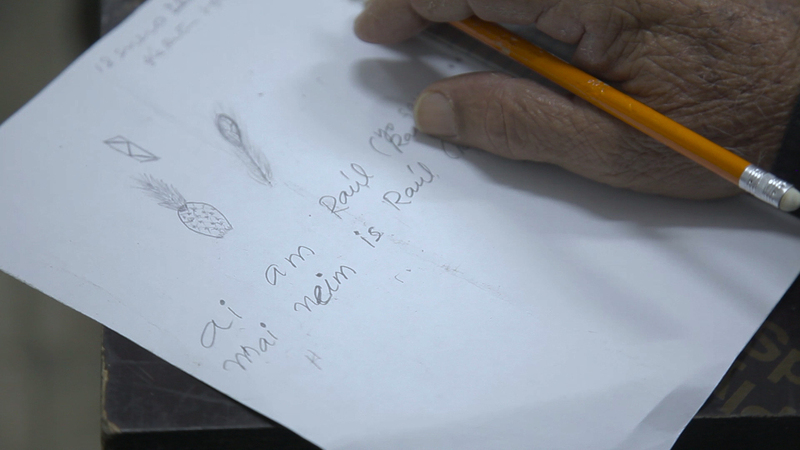 Perception (Narrative, 19 mins, Andy Cruz, USA, 2016) A young boy, the son of a Mexican immigrant, can draw anything from his memory to perfection. Yet he perceives the world differently and he shows this in his art. Welcome Back (Narrative, 21 mins, Matias Nilsson, USA, 2016) After being deported to Mexico, CARMEN is forced to survive in a country she doesn’t understand anymore. Follow her struggles as she looks for an answer to where she’s really from, and which country is truly her home. Featuring the music of Gian Carlo Buscaglia Free and open to the public. Awards will be announced for Best Narrative Feature, Best Documentary, Best Short and Audience Award. Free and open to the public.